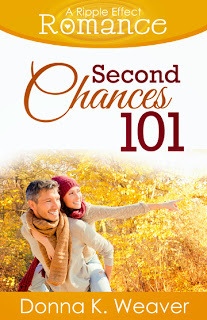 Second Chances 101 is the fifth book in The Ripple Effect Romance novella series. This is an incredibly fast-paced story. I think I read it in less than an hour. It's a sweet story about two people finding each other after dealing with former bad partners. Francie's spouse died and Alex divorced his shrew of a wife. There is little romance in this novella. Alex and Francie just agree to start dating and the next thing we know it's several weeks later and the story is over. I would have liked more time to get to know the characters as a couple. We get to know them pretty well as singles, but everything still felt a bit rushed. I loved Francie's character, she was an amazing woman. After years of mental abuse, it's surprising she was able to turn her life around the way she did. But I think the true star of the story was Alex's daughter, Sam. I think Ms. Weaver could write an entire story devoted to Sam and what happens to her in the future. I really hated Sam's mother. She was a conceited piece of work. The relationship between Francie and Sam is better developed than that between the Francie and Alex. I enjoyed this sweet story, just wish there was a bit more to it. I wasn't quite ready to part with the characters when the novella ended. 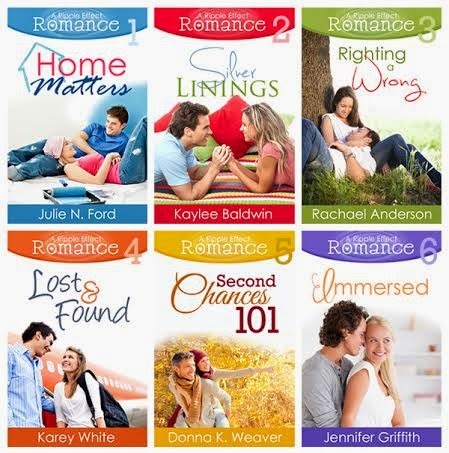 Another fun addition to this clean romance novella series.